Steve Sloan, an IGFA Trustee for 20 years, was widely respected for his work in fishery conservation. He founded the Fisheries Defense Fund, IGFA’s Conservation Committee, and served as a member of the U.S. Advisory Committee to ICCAT, and as chairman of MAFAC-- a fishery advisory group to the U.S. Secretary of Commerce. An ardent angler who set 44 IGFA light-tackle world records, he achieved several “firsts” including a bluefin tuna on fly, a white marlin on six-pound-test line, and blue sharks on four-pound and 12-pound tippet. 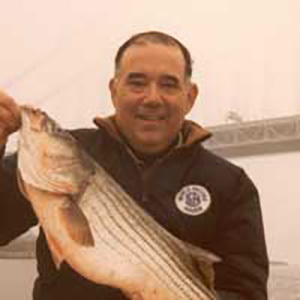 Sloan was the author of three well-received books and, as the creator and host of the daily radio show "The Fishing Zone", he covered vital conservation issues with fishing and environmental experts. Sloan, who passed away on April 28, 2005 after a battle with cancer, will be remembered for his love of fishing and passion for the world’s oceans.